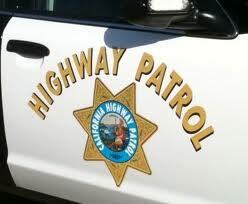 A Southern California man tried to pass four vehicles while driving on Highway 1 near San Simeon Sunday evening. Almost immediately after crossing double yellow lines, he crashed head-on into a vehicle carrying four women and a 6-year-old girl, all of whom were from Hawaii. Coronado resident Jacob Vita, 27 suffered a broken left foot, broken right ankle and a head injury. The four women suffered moderate injuries. The 6-year-old suffered major injuries. Around 6:23 p.m., Vita was driving southbound on Highway 1 north of Arroyo De La Cruz Beach at 50-55 mph in a 2016 Mazda. Vita attempted to pass four cars and crashed into the oncoming 2016 Ford that was traveling approximately 55 mph, according to the CHP. The Coronado man hit the brakes but could not avoid striking the the Ford. The CHP identified the females in the Ford as Melekai Jenson, 32; Elyssa Polsky, 29; Amy Polsky, 50; Moana Jenson, 29; and Dior Coleman, 6. Two of the women complained of chest and back pain; one complained of shoulder, back and neck pain; and one complained of chest, neck and back pain. Investigators do not suspect drugs or alcohol were factors in the crash. All of the individuals involved were wearing seat belts at the time of the collision. Too many people zippen down highway 1. Wouldn’t it be cool if it was a bikes only highway? You could actually score a camping spot at Plaskett Creek. I hope the folks from Hawaii make a full recovery. What protection do any of us have? Jacob Vita and more just like him seriously cause me to think twice about retaining my driver’s license. The people from Hawaii were traveling north on a very scenic highway just taking in the beauty. Passing FOUR vehicles – why such haste? This was a completely avoidable crash for which Vita has no excuse except selfish disregard for human life! So grieved for the five women from Hawaii. It’s the same thing on every two lane highway in this county – everyone is in a big damn hurry thinking their time is way more precious and valuable than the next person’s. How valuable will this guy’s time be while he lays in a hospital bed unable to walk and faces several charges of endangering others because of his stupidity? Man I hope he gets charged with something. If he has the right connections he may not even face any charges, it happens that way all the time. Speeding at 50 MPH in a 25 MPH zone (and assault with a deadly weapon, motor vehicle), is A OK for friends of Jim App and Lisa Solomon. The dirtbag from SoCal deserves the death penalty. They all live on islands…..interesting. Are you a failed product of the government schools???? Coronado is a peninsula, not an island. They call it Coronado Island I realize it is a peninsula and has avery nice Hotel. Jerk should pay for the rest of his life. Ahole. If he did this to my family I would find him and beat his face into the ground.